Meet FLYBi, the world’s first truly autonomous drone that gives you a first-hand flying experience. 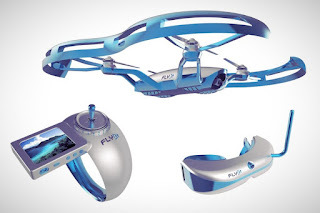 This soon-to-be- released drone and integrated First Person View goggles and head-tracker camera is definitely a game changer when it comes to the first person view flying experience. The easy-to-use drone opens a world of new perspective for even the most novice flyer. The FLYBi Drone is capable of tracking the pilot’s head movements and streaming the drones view directly to a pair of virtual reality goggles. The HD camera fitted on the FLYBi drone can shoot both photos and video. The video can be shot at an incredible 1080P . Head-Tracking Goggles ,The camera on the drone mirrors your head movements allowing you to look around and explore from the skies. RePhone Kit Create is an open source modular phone kit that will change the way you use a phone. It provides a new form of phone customization, and the easiest solution to wearable IoT development. You can create your own phone in minutes! 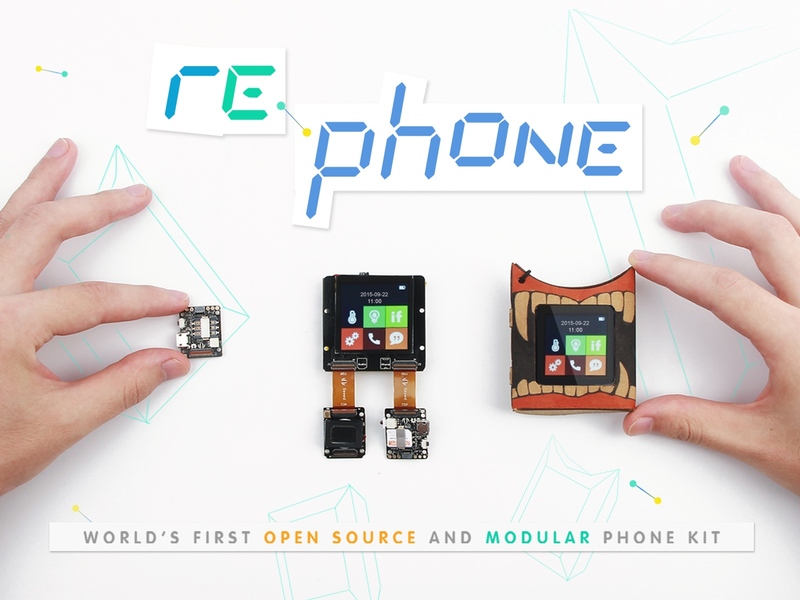 Using the slim modules, accessible software, and customizable phone enclosures you can build your own mobile phone. Give inanimate objects the power of cellular communication with the RePhone. Hack the thing around you and have conversations with your pets, plants, toys, motorcycle helmets, robots, or drones through cellular connectivity.The manufacturers of this device hope that this product will encourage people to develop new and interesting ways of using and applying cellular technology. Its time to construct your very own unique, custom phone. 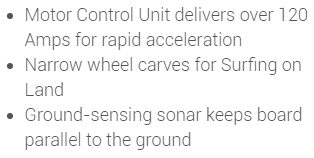 This hoverboard is powered by an electric motor that follows rider’s lean to accelerate or brake, and to turn rider simply needs to twerk waist to redirect it. Riding it one gets a feeling of surfing on land. The charging time is way shorter than that of its two-wheeled forerunner. The last but not least, it is significantly safer than a two-wheeled hoverboard, since it won’t keep moving unless the rider has two feet firmly on the board. All our one-wheeled hoverboards are equipped with onboard LED lighting and Bluetooth speakers, however, these features are using up to 10% of the battery.